Going on the offensive against one of the most daunting challenges in cancer, The Leukemia & Lymphoma Society (LLS) today announced the launch of a groundbreaking, collaborative clinical trial for acute myeloid leukemia (AML), a deadly disease which has seen few improvements in treatments in more than 40 years. Beat AML was announced yesterday by Vice President Biden, along with many new, Moonshot inspired initiatives across industry, non-profit and government. 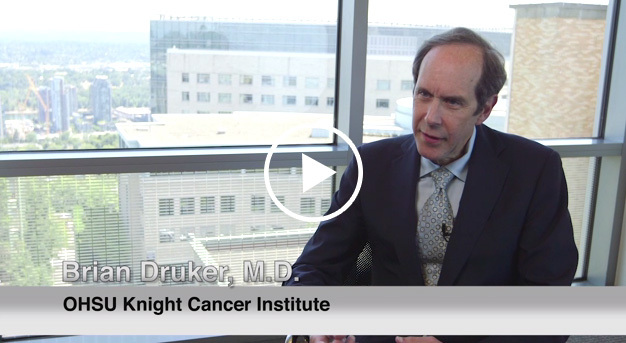 In conjunction with the LLS research team led by Amy Burd, Ph.D., Beat AML showcases the strong commitment to collaboration of leading AML experts, eager to put patients first. Lead investigators include John Byrd, M.D., The Ohio State University Comprehensive Cancer Center – Arthur G. James Cancer Hospital and Richard J. Solove Research Institute, Brian Druker, M.D., OHSU Knight Cancer Institute, and Ross Levine, M.D., Memorial Sloan Kettering Cancer Center, all of whom have worked closely with LLS to plan and design the master protocol for the trial. The first patients are expected to be enrolled by December 2016. Six additional clinical sites are prepared to begin enrolling patients in April, and the trial will eventually expand to between 15 to 20 sites, and up to 10 different treatment arms. LLS anticipates that 500 patients will be treated in the Master Trial. Once enrolled, trial duration for patients will range from one to three years. 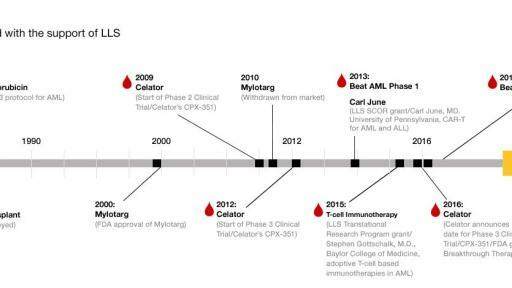 Four biopharmaceutical companies – Alexion, Boehringer Ingelheim, Celgene, and Gilead Sciences – are participating in the Beat AML Master Trial, offering the following investigational drugs, respectively: samalizumab (ALXN6000), BI 836858, enasidenib (AG-221/CC-90007), entospletinib, none of which are yet approved. Many other pharmaceutical companies have expressed interest in joining the study, and additional treatment arms may be added over time. 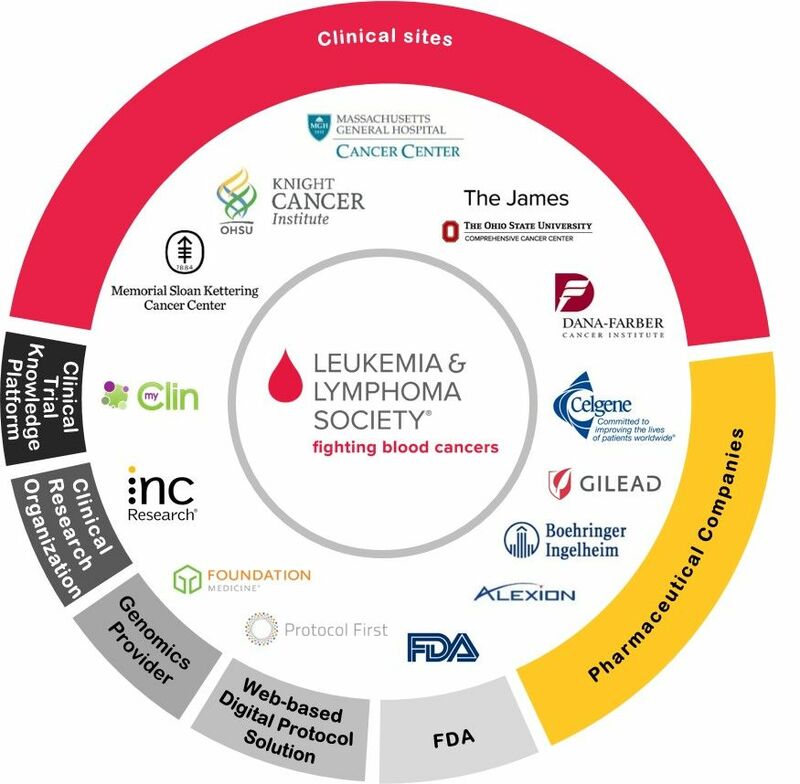 Other Beat AML Master Trial collaborators include: Foundation Medicine, a leading molecular information company, which will utilize its proprietary comprehensive genomic profiling assay for hematologic malignancies, for all of the patients; INC Research, a clinical research organization, which is helping LLS manage the logistics of the trial; Protocol First, providing a novel web-based digital application to help guide the clinicians; and myClin, providing a clinical trial knowledge platform to streamline communications between the clinical trial sites and maintain a high level of engagement and regulatory compliance. 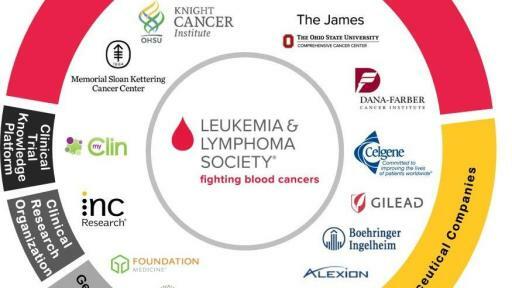 As the world’s largest voluntary health agency dedicated to fighting blood cancer, LLS has been funding AML research since our inception in 1949. 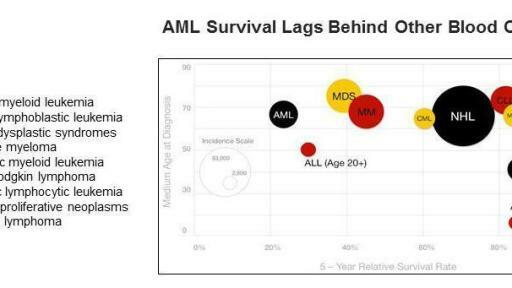 Approximately 26 percent of LLS’s current research budget is invested in AML research. 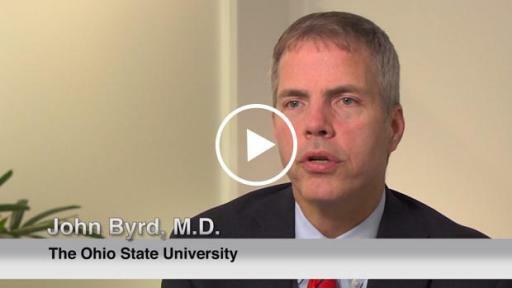 Beyond the Beat AML Master Trial, LLS has invested nearly $100 million over the past five years alone to better understand and treat this disease. For example, LLS had the vision to make a “down payment” for patients with AML in 2009 by partnering with Celator Pharmaceuticals (acquired by Jazz Pharmaceuticals in 2016) to advance its investigational drug CPX-351, an innovative formulation of two existing therapies, which recently outperformed standard therapy in a Phase 3 trial of patients with secondary AML, a high-risk subset of the disease. 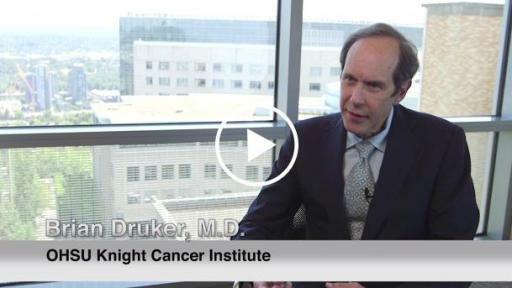 This investment has the potential to become the first new treatment approved in the US for AML patients in 40 years. 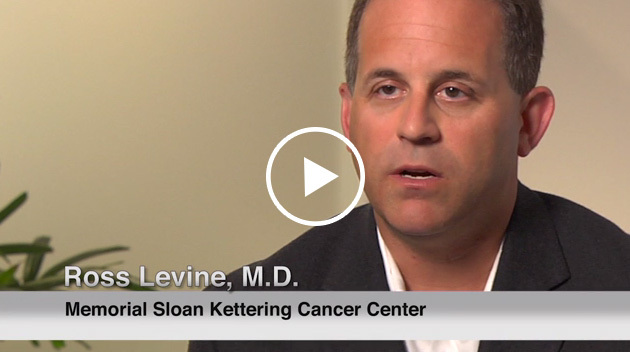 “Throughout our 67-year history, LLS has time and again taken a leadership role when it has recognized a challenge for patients. 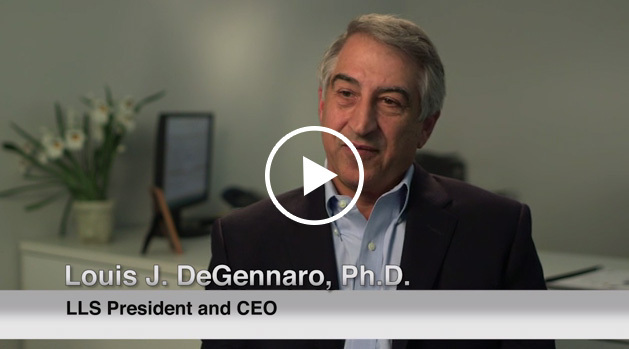 We’re doing it again with the Beat AML initiative, working together to advance new therapies and improve outcomes for these patients who desperately need new and better options,” said DeGennaro. 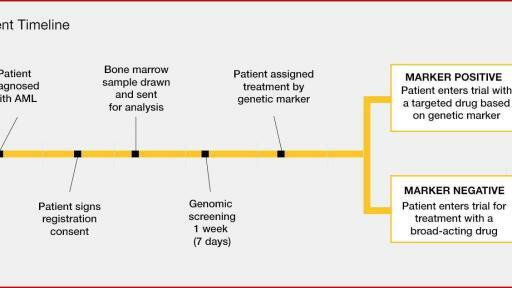 To learn more about the Beat AML Master Clinical Trial visit our media toolkit here or our website at www.lls.org/BeatAML.